Shaun Francis Graf (born 19 May 1957 in Somerville, Victoria, Australia) is a former Australian cricketer who played 11 One Day Internationals (ODIs) for Australia in the early 1980s as an all-rounder. He represented Western Australia as well as his native Victoria in the Sheffield Shield and also played county cricket for Hampshire. Educated at St Bedes College, Graf made his grade debut at the age of 19 for St Kilda Cricket Club as an all-rounder, bowling right-arm medium fast and batting left-handed with an emphasis on driving. Graft made his first-class debut in 1979–80 for Victoria. He turned in a number of notable performances that season, including seven wickets against South Australia and some final-over batting which helped Victoria win the McDonalds Cup. 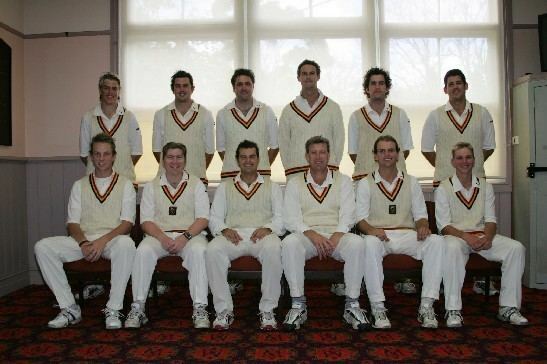 Victoria won the Sheffield Shield that season. Graf received an offer to play over the 1980 English summer with the Hampshire County Cricket Club. He performed disappointingly, only exceeding 50 in a first-class game once. His form was better in the Australian 1980–81 season and against Western Australia he scored 100 and took three wickets.